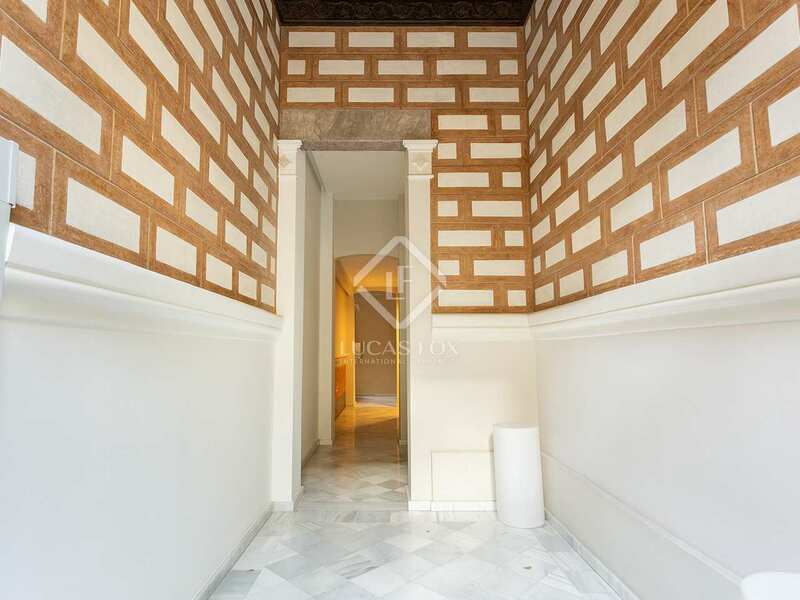 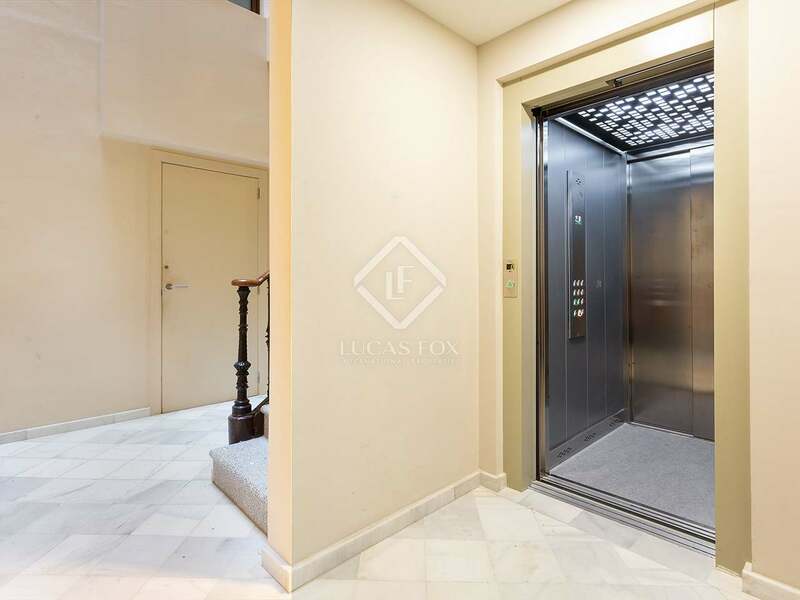 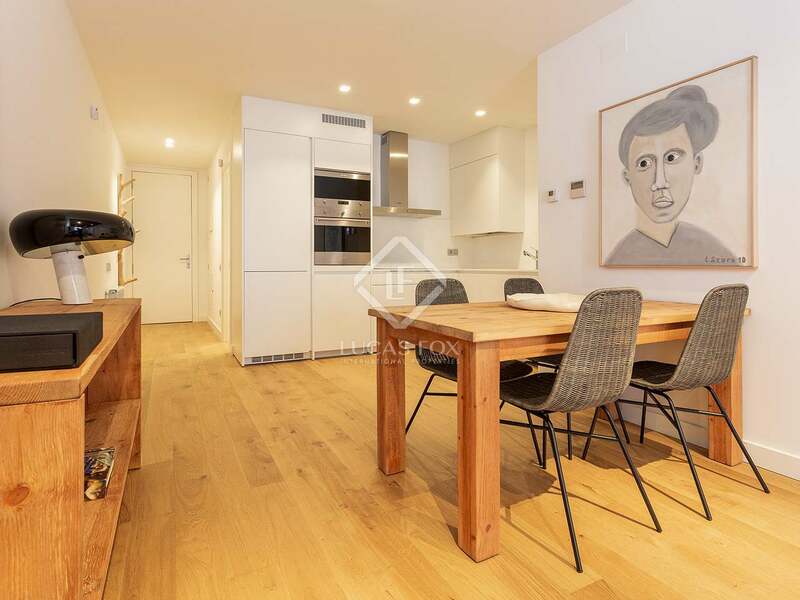 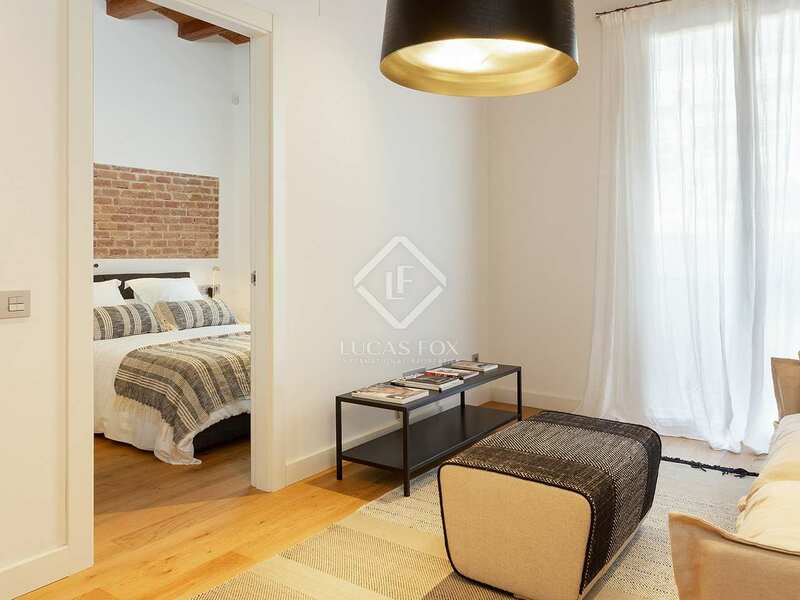 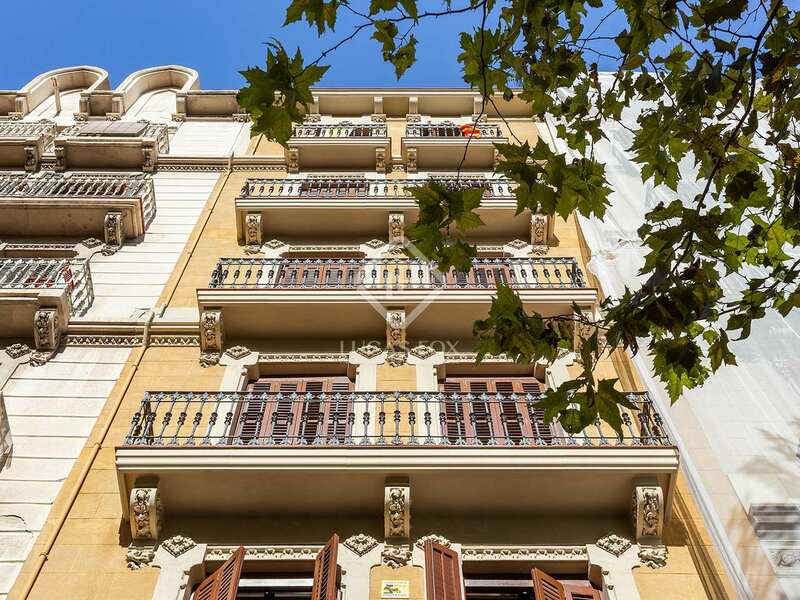 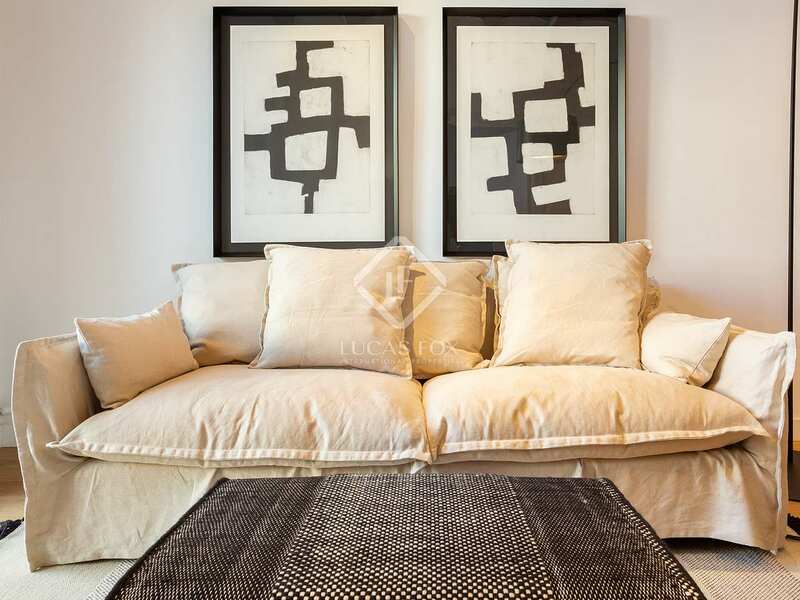 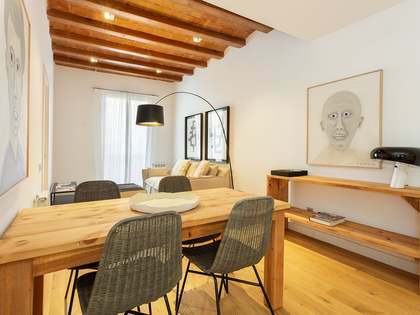 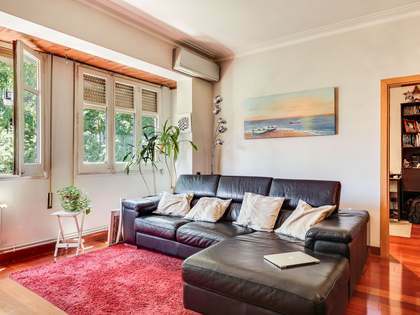 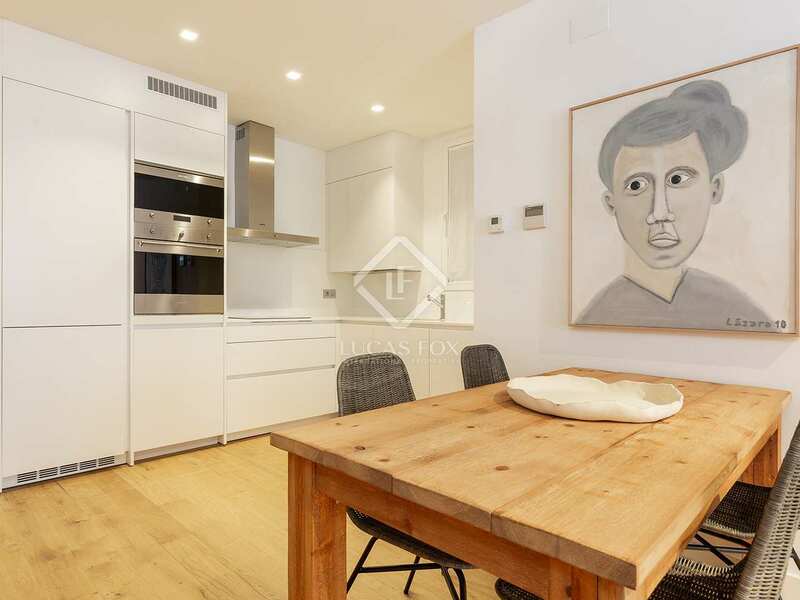 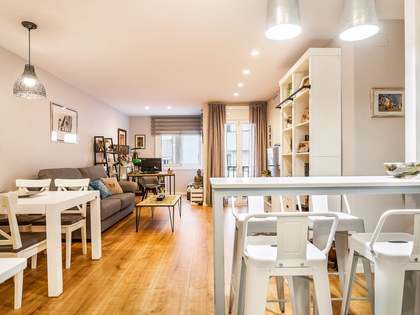 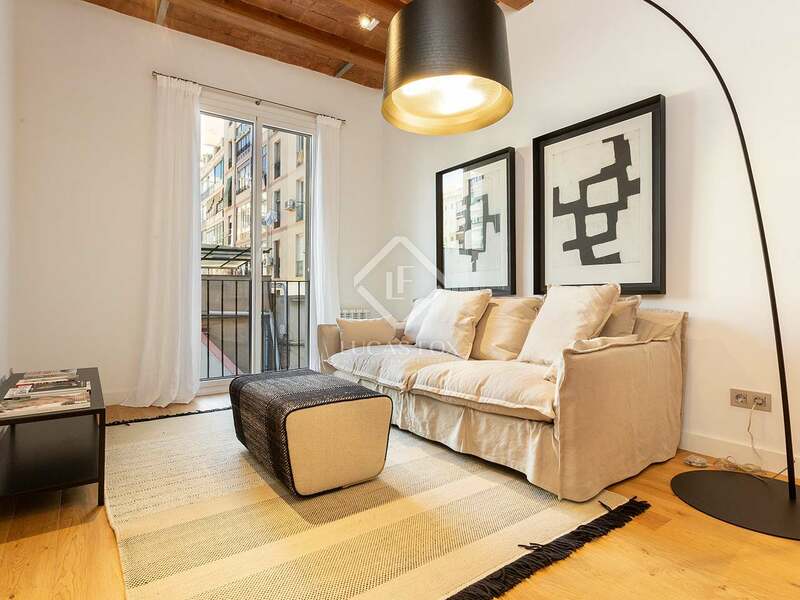 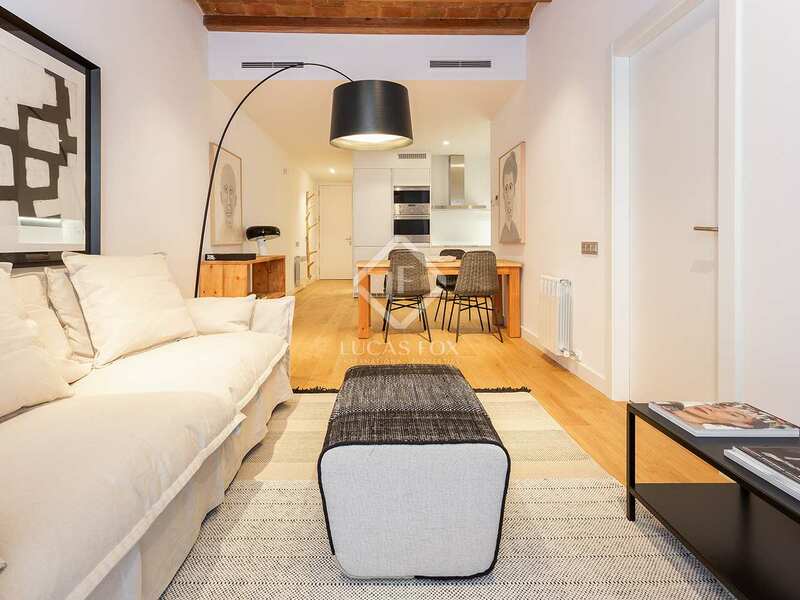 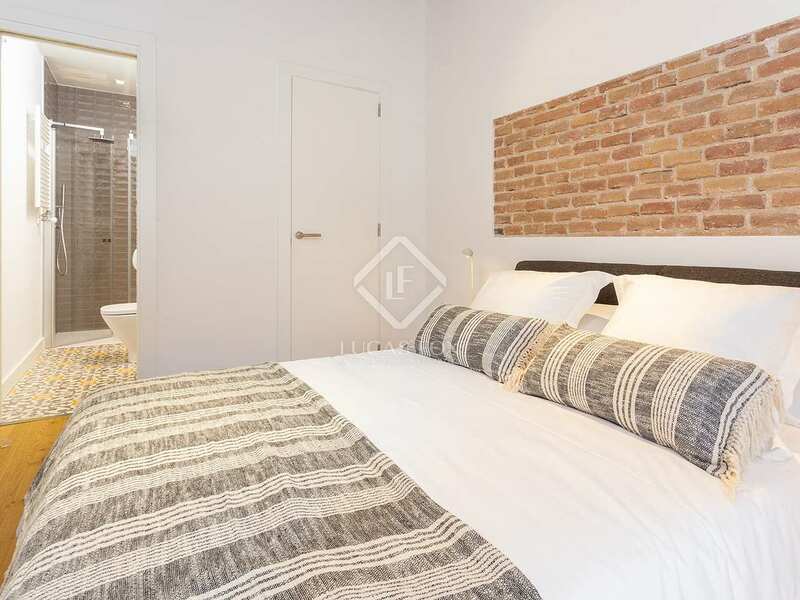 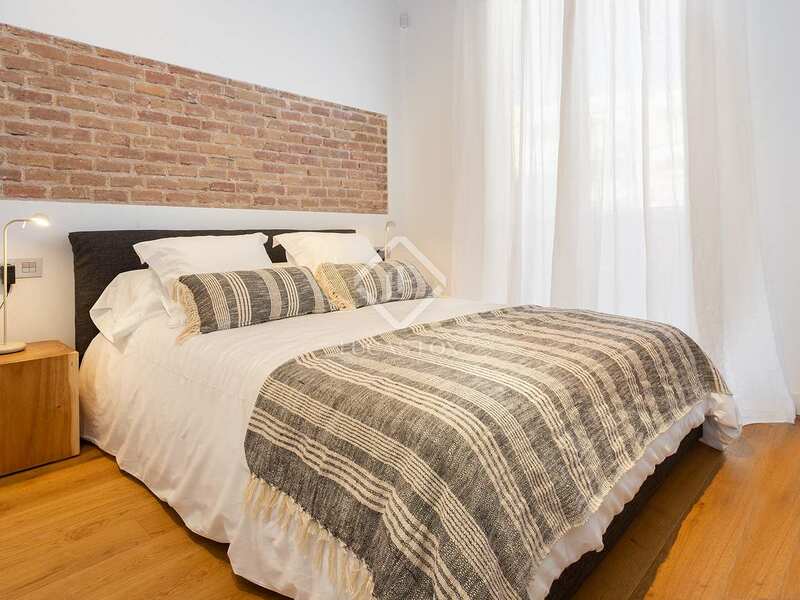 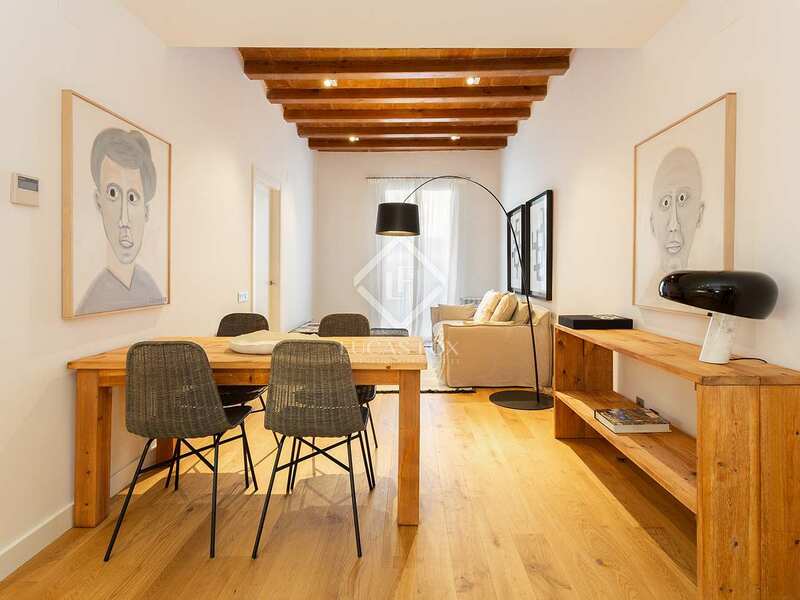 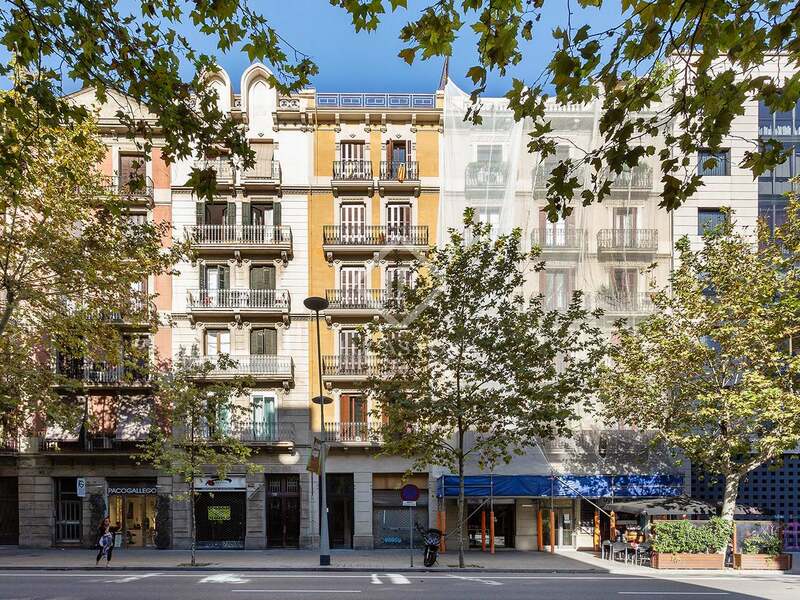 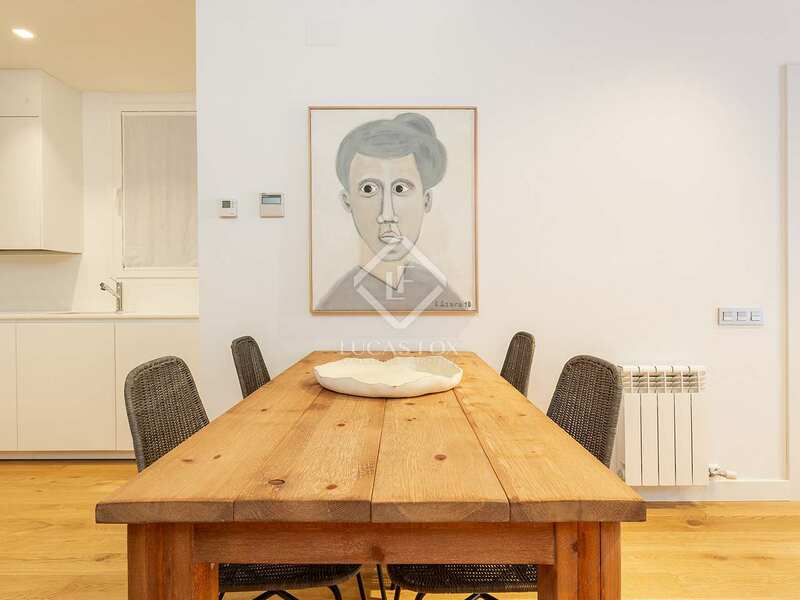 Beautiful, top quality apartment for sale in a fully renovated building dating back to 1920 next to Sant Antoni market. 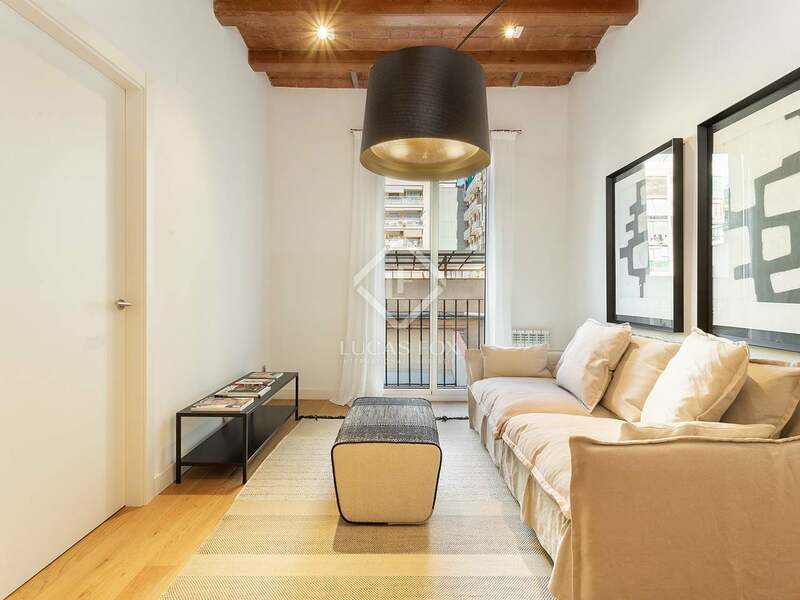 This apartment is on the fifth and top floor and measures 68 m². 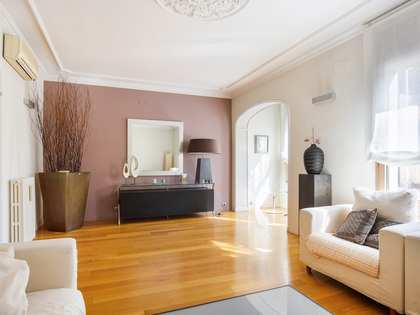 It offers a hall, a living room with an open kitchen and two double bedrooms with en-suite bathrooms. 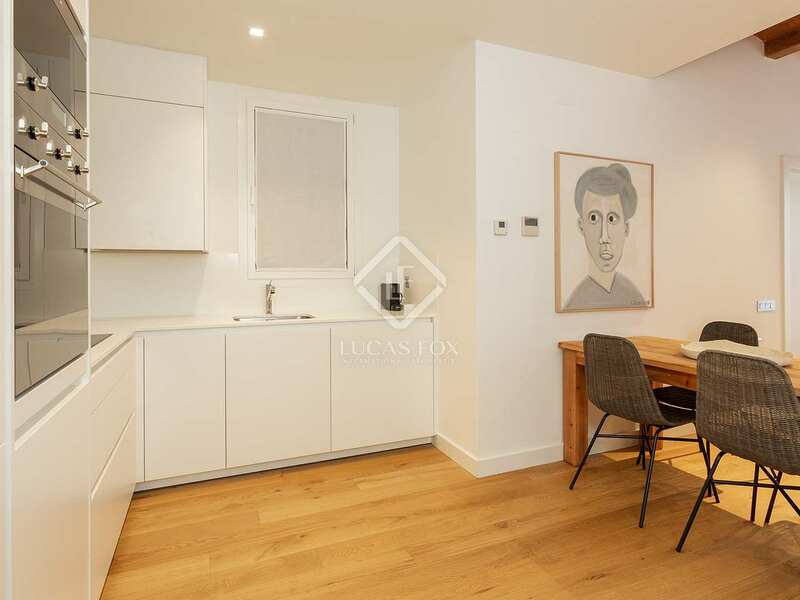 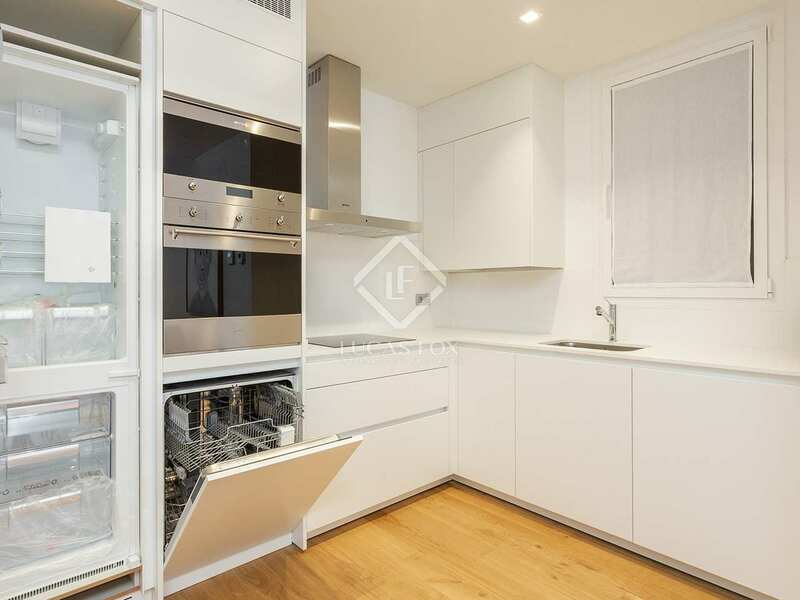 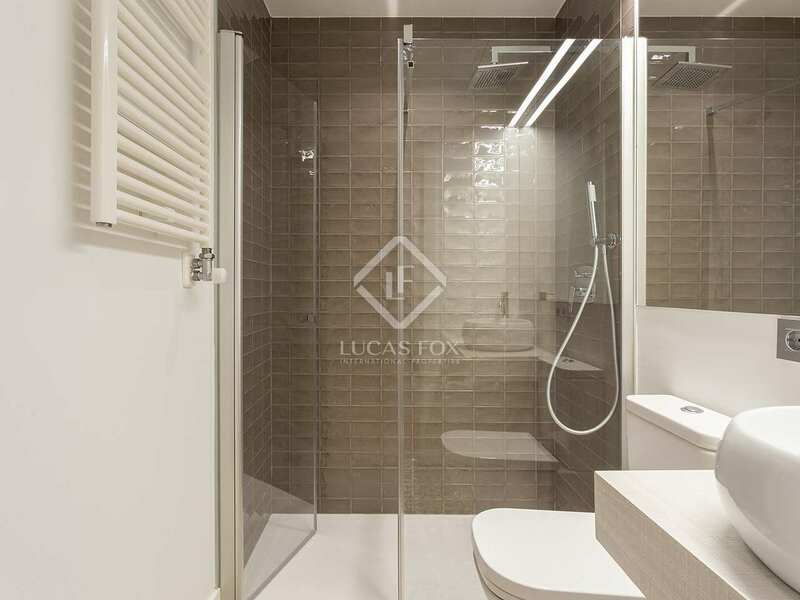 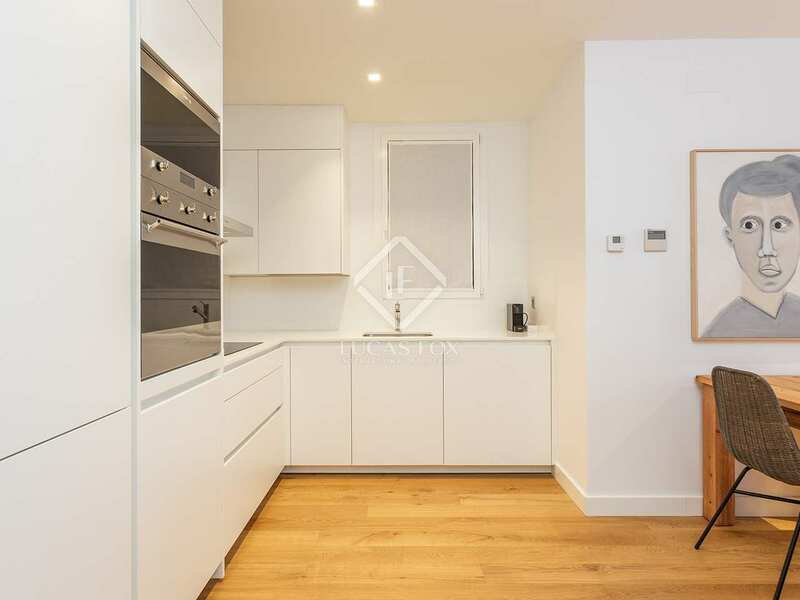 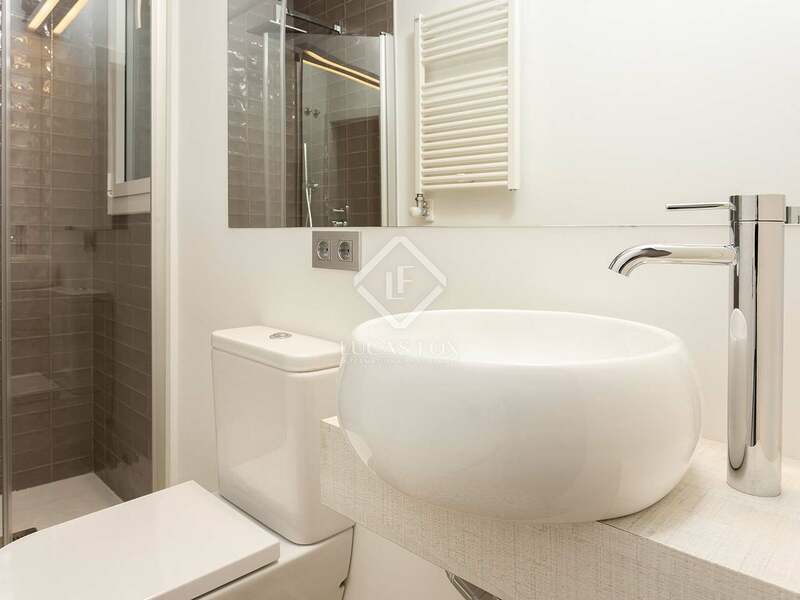 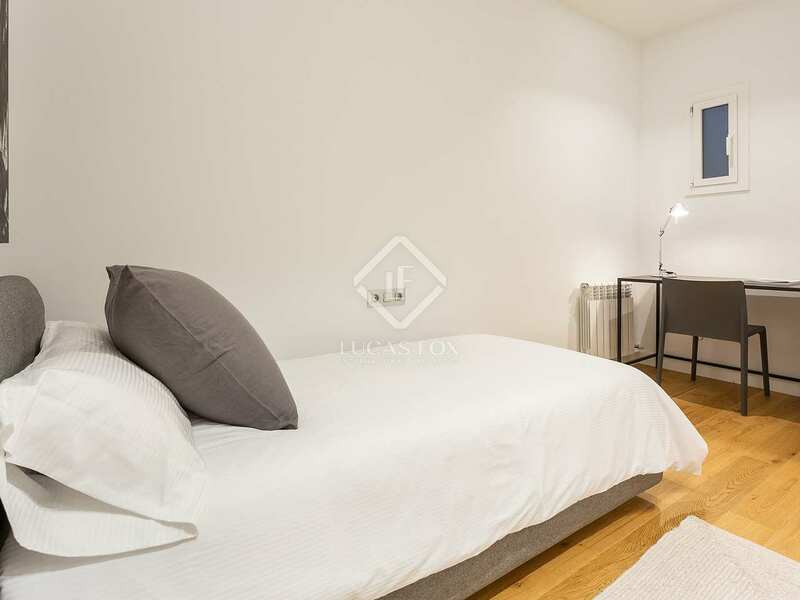 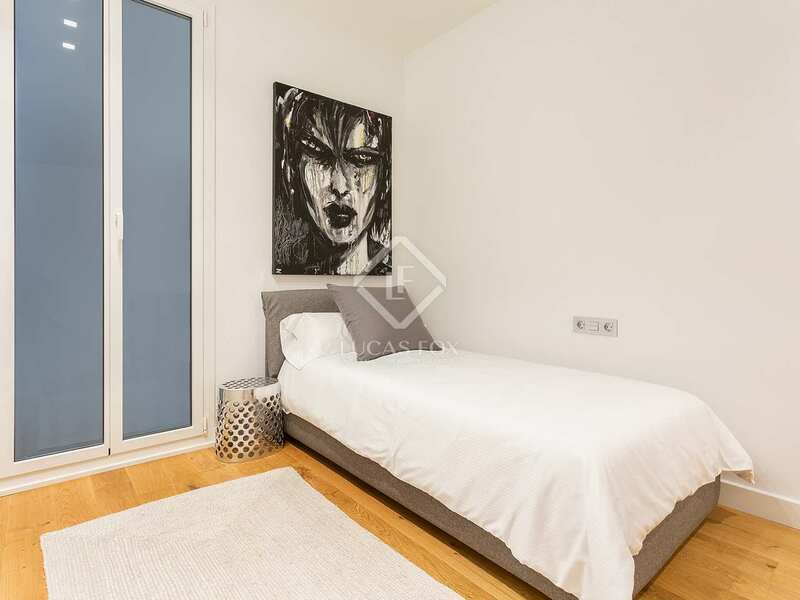 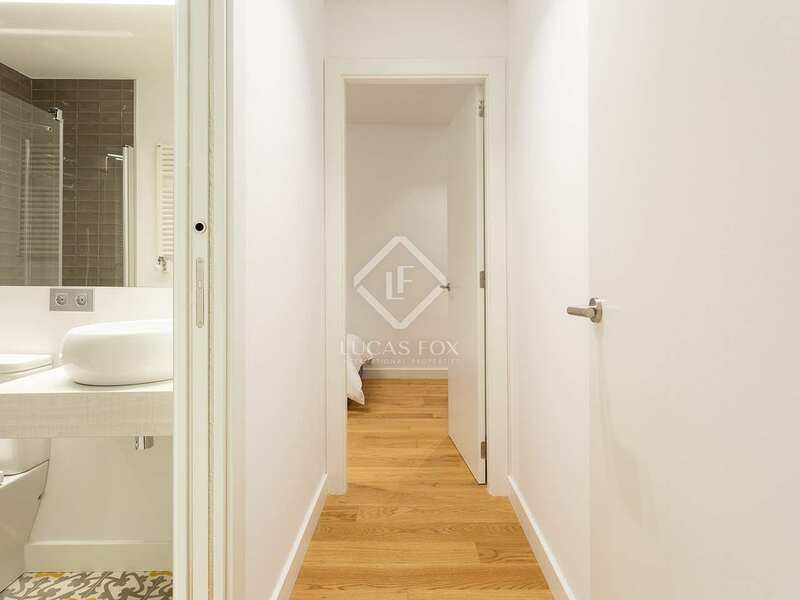 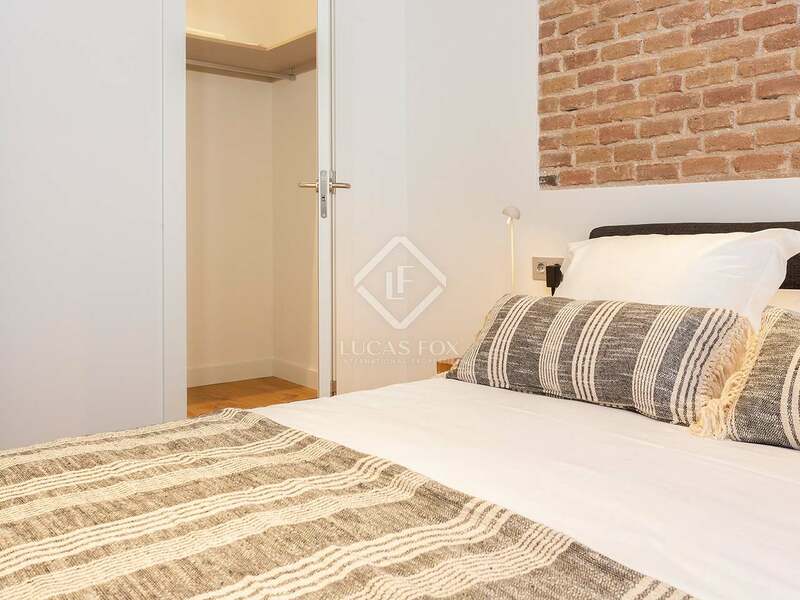 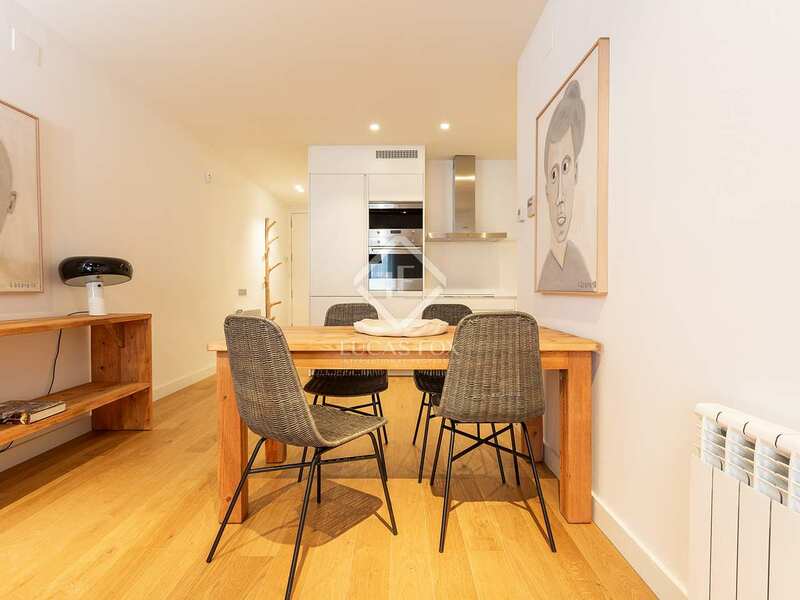 The apartment is presented with excellent quality finishes, such as double glazed windows with aluminum frames, wide, natural wood floorboards, gas heating and air conditioning ducts, porcelain floors in the bathrooms and Silestone kitchen equipped with Smeg appliances. 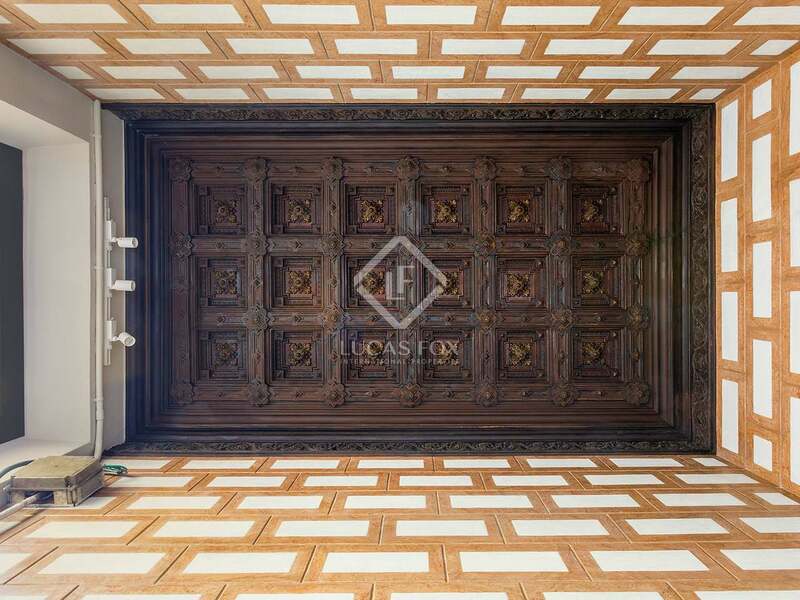 These finishes are combined with period features, such as Catalan vaults and beautiful wooden beams, which add charm and character. 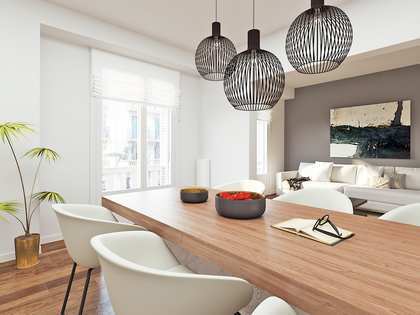 The ideal apartment for those who want to live in one of the best areas in the city. 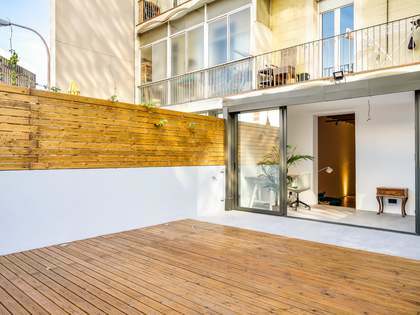 It would also make a very interesting investment opportunity.